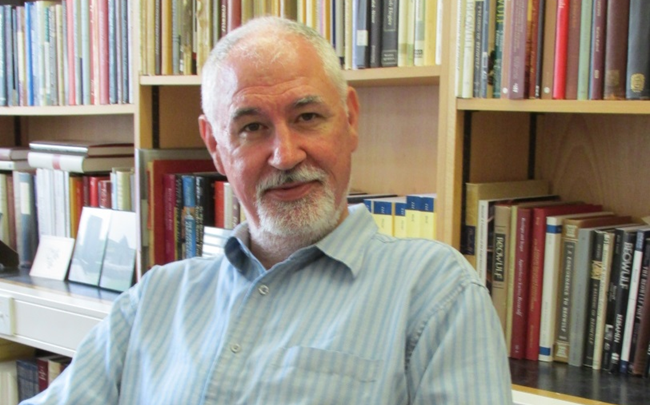 Professor Orchard has been the Rawlinson and Bosworth Professor of Anglo-Saxon since 2013, and is a role that J.R.R. Tolkien formerly held from 1925 to 1945. Orchard will be speaking to attendees on the subject of “Tolkien’s Beowulf and its Monstrous Critics”. The Annual Dinner takes place during the Springmoot and AGM weekend, held this year at the Kingston Theatre Hotel in Hull between Friday 20st April and Sunday 22nd April 2018. Andy Orchard joins a long line of distinguished guests of honour, including Priscilla Tolkien, Humphrey Carpenter, and Tom Shippey. Professor Andrew “Andy” Orchard, FRSC, FBA is Rawlinson and Bosworth Professor of Anglo-Saxon at the University of Oxford and a fellow of Pembroke College, Oxford. From 2007 to 2013, he served as Provost of Trinity College, University of Toronto. Professor Orchard was born in North London and educated at University College School. He pursued undergraduate studies at both Queens’ College, Cambridge, where he read Anglo-Saxon, Norse and Celtic, and Exeter College, Oxford, where he read English. In May 2015, the Oxford University Student Union recognized Professor Orchard as the “most acclaimed lecturer in humanities.” Professor Orchard’s works include, The Poetic Art of Aldhelm, Cambridge University Press (1994), Pride and Prodigies: Studies in the Monsters of the Beowulf-Manuscript, D.S. Brewer (1995), Dictionary of Norse Myth and Legend, Cassell (1996), and A Critical Companion to Beowulf, D.S. Brewer (2004). In 2016, he was awarded a five-year, €2.44M European Research Council Advanced Grant for a project entitled “CLASP” (Consolidated Library of Anglo-Saxon Poetry), which will create the first-ever electronic corpus of all poetry produced during the Anglo-Saxon period. Professor Orchard is a Fellow of the Royal Society of Canada and a Fellow of the British Academy.